How To Maintain HVAC Systems In Your Home? One of the dangers of HVAC systems is the accumulation of mold and dust in the different components. For that reason, you need to ensure servicing and cleaning of these systems from time to time. It is necessary that filters are cleaned and maintained as these are the main components where mold or dust might accumulate. One of the essential aspects of air conditioning service is to get mold and dust particles removed from the different units. Usually filters tend to accumulate mold over time, especially when the systems are not used for long. This can then pollute the air if the filters are not cleaned and the air conditioners are used within a closed space. There are cleaners of commercial grade that can be used to remove mold growth. Also, the removal of mold will also depend on the kind of air conditioning unit that one possesses. In order to get it right, it is recommended that one calls in professional service men to do the maintenance work. 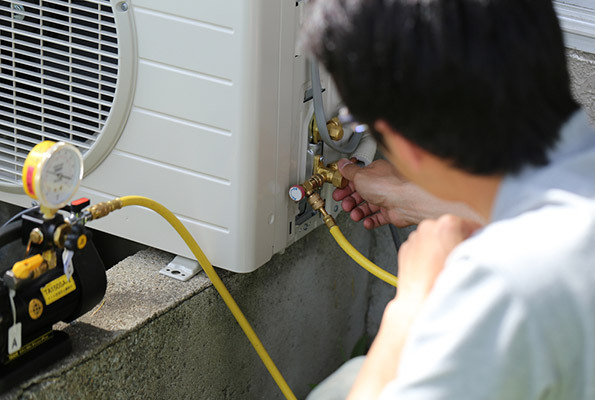 If you are attempting to clean air conditioner units by yourself, it is necessary to pay attention to the way the unit is assembled during air conditioning installation. This will help one to know how to remove the external parts and access filters that are placed inside the unit. If you are cleaning the unit yourself, ensure that you unplug the device before taking it apart. If there are dust and mold growth, it is best that you wear a mask to cover your nose and mouth. This will prevent mold spores from getting into your respiratory system. Mold and dust accumulation depends on the area and weather conditions that prevail. If the air conditioner unit is placed inside a room such as a split unit, the chances of mold accumulation would be less. This occurs more in a window based system. Again, if you live in high humidity areas, chances of mold growth are heightened. Hence, you need to inspect and clean the filters every few months to ensure that the system is well maintained. There are several professional maintenance services you could contact. For regular or periodic inspection and maintenance of air conditioner units it becomes beneficial to form an annual contract with a service provider. If you are concerned about the health of your air conditioners, it is best that you sign up for annual maintenance with a service provider. If the units are under warranty coverage, the company would send someone across for servicing and repair for a fixed time period.